Meet Daniela who is always ready to tutor her friends. She also has a great imagination and wants to become an artist or writer. 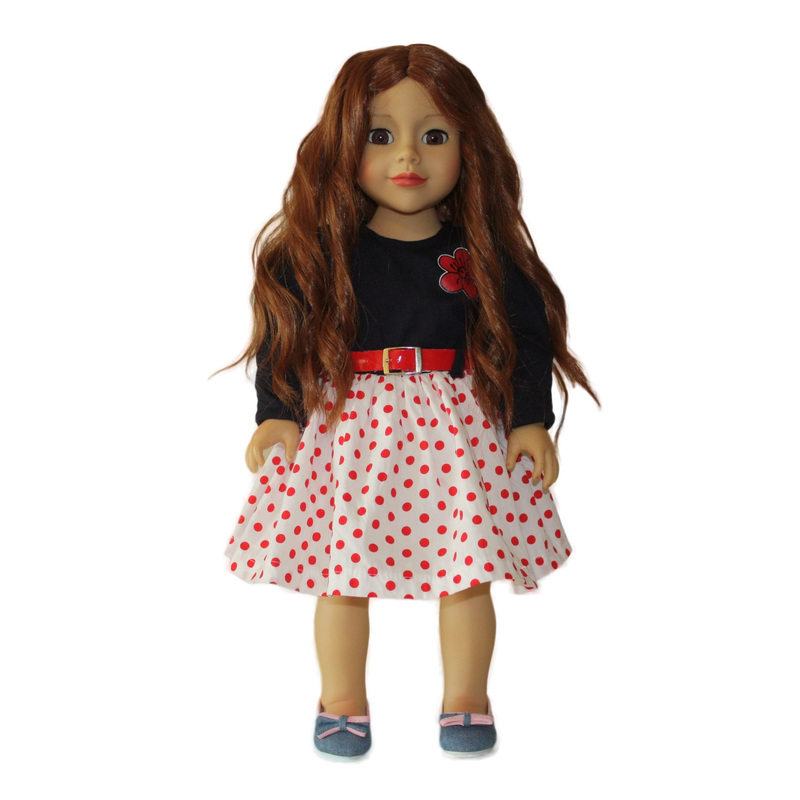 Daniela comes wearing a beautiful dress with soft dark blue top, white with red polka dot bottom, bright red belt and comfy light blue flats. She looks adorable and ready for new adventures with her friends. 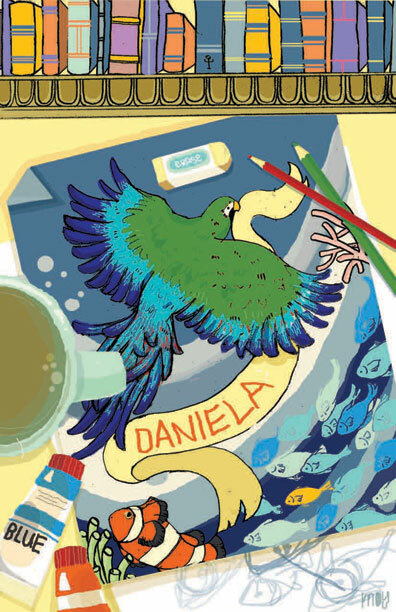 Daniela comes with a personal journal. It is a perfect way to keep a track of things that happen to you in your day to day life. The journal has five sections: diary, friends, secrets, goals and dreams, and DIY (do it yourself). Grab your magic pen and start writing. You can live your dreams! Daniela and journal arrive in a sturdy box that may serve as storage for doll’s clothes, shoes and other accessories.